Even before your child is able to sit down with you and read a book of his choice or yours, he's learning the basic components of reading. When you go to the store and he recognizes brand names and signs of the shelf, he's learning to "read" the environmental print around him. When you sing silly songs, play rhyming games or read Dr. Seuss or nursery rhymes, he's practicing his phonemic awareness skills--that is, he's learning to manipulate sounds. Reading a favorite book until the pages wear thin helps your child learn core words, words he'll know by sight and will see over and over again in books. Plus, all that reading you do together will help him learn what reading should sound like, where to place emphasis, how to change intonation and how to decode unfamiliar words by looking at all the clues. What Does Reading With Prosody Mean? Once your child has begun to put the basic components of early reading together and has begun to recognize sounds, words, sentences, and punctuation on the page, you can rejoice. He's reading! The next step is to make sure he's able to read fluently, both orally and silently. Fluent readers, those who don't read word-by-word or stumble through the page by sounding out every word they see, gain more from reading. They are able to more easily comprehend a passage of text and transfer reading skills from one genre to another. They become stronger writers and often have (and use) a large vocabulary. How Do Teachers Determine How Well a Child Reads? Many parents wonder how a teacher actually knows how well a child is reading. To some degree, teachers base this on observation, but few children will be assigned a reading level or to a reading program without a more formal assessment of their skills. In kindergarten and first grade, many teachers use the Concepts About Print (or CAP) assessment to see what a child knows about how to read, not just what he is able to read. As your child becomes a better reader, he'll be assessed by his ability to read a specific, or benchmark, book at each progressive level. The teacher will create a running record to keep track of the errors he makes as he reads, using this sheet to calculate his reading level. To assess how well a child is reading, teachers commonly use concepts about print, a benchmark book, and a running record. To learn more about these assessments, read, "How do teachers assess a child's reading skills?" One of the most confusing things about elementary school reading programs are the reading programs themselves. There are many different types of programs and approaches to teaching reading. The whole language approach to reading is exactly as it sounds. Students are taught to read, not by specific phonics instruction, but by looking at language as a whole, learning, among other things, to recognize sight words, use inventive spelling and reading/reciting repetitious texts. Leveled reading programs are more precise. Every book, including those not specifically published as readers, is assigned a level of difficulty. This level can be in the form of a number, letter or combination of the both. Leveled books are then used as a platform for reading comprehension, vocabulary and writing assignments. Students' reading levels are reassessed at timed intervals throughout the year. What is Whole Language Reading? What's a Leveled Reading Program? Reading Programs: What is Basal Reading Instruction? Learning to read doesn't just happen in the classroom, no matter how good a teacher or reading program is. 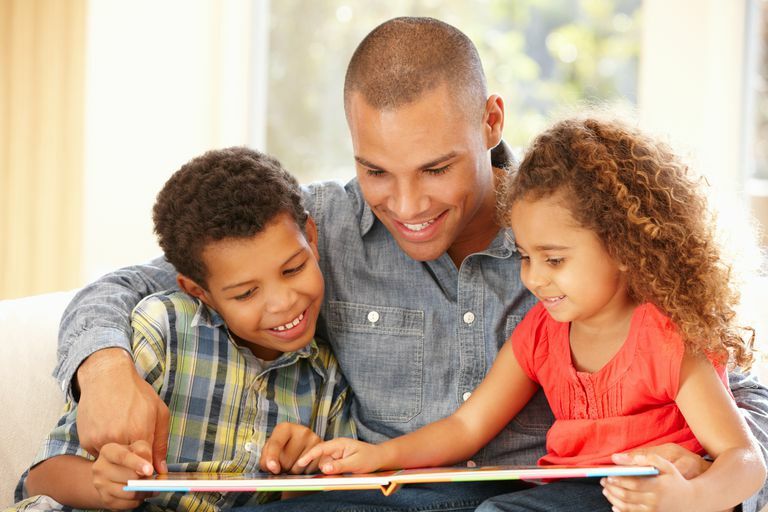 Parents play a crucial role in helping children learn to read. Sometimes it's as simple as providing a reading-friendly environment, someone to read with and a great home library from which to choose. Other times, however, your child may need a little encouragement to begin reading and to become a successful reader. Are Children Gifted If They Learn How to Read Earlier Than Others?